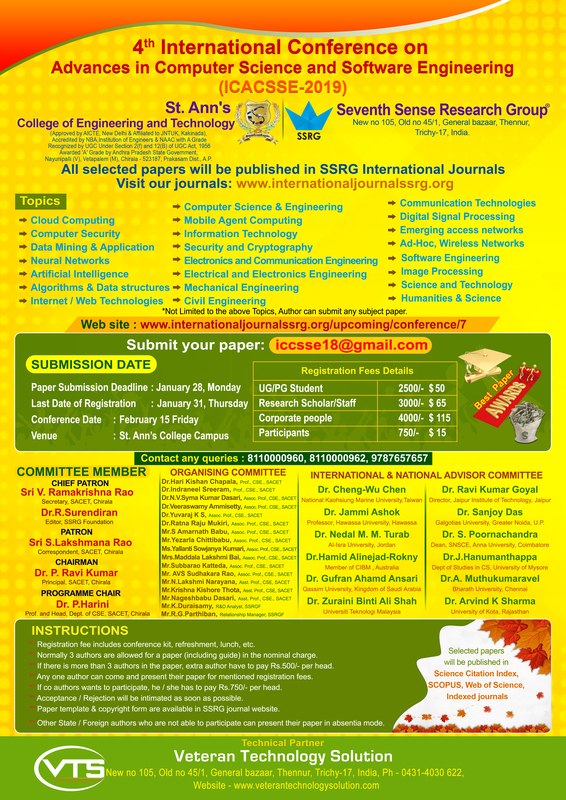 4th International Conference on Advances in Computer Science and Software Engineering (ICACSSE-2019), St. Ann's College of Engineering & Technology, Chirala, Prakasam Dist., India. The aim of ICACSSE-2019 is to bring all the research areas together on a single platform. This conference will bring the research scholar communities of different fields together at one place to share their research innovation and ideas. Also the purpose of this conference is to implement the researches of one field into another to bring out the best applications of these researches.